Country band that was set in motion in - where else? - Nashville, Tennessee. Must be ardent fans of cartoon series The Simpsons, and seem to have followed episode 13 from season 6 with more than normal interest. 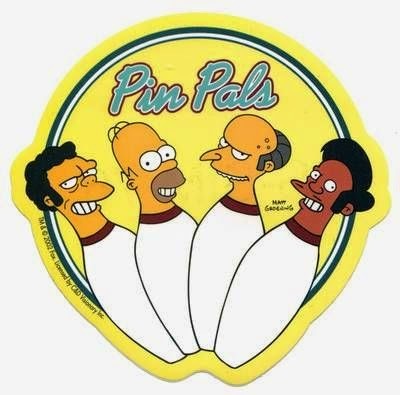 In this episode Homer quits his job at the atomic plant where he works, to make a long-held dream come true: he becomes pin monkey at the local bowling alley, putting the pins upright after they have been struck down. It does not become a great success, because the adage the boss of the central, Mr. Burns, reminds his employees of ('Don't forget: you're here forever') quickly strikes him in the face.